Want a simple and quick dinner recipe that ticks all the healthy boxes and gives you a boost of energy all in one. 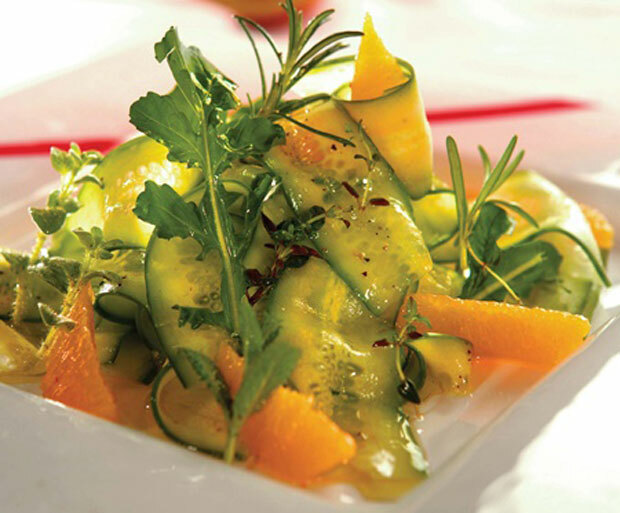 The Cucumber Salad with Orange-Coriander Dressing is delicious and nutritious! Slice the cucumber length-wise using a peeler and place in a bowl. Top with sesame seeds. Using a hand blender mix the dressing ingredients until smooth. These aren’t so much burgers as tasty, Southwest-accented black bean sandwiches. The patties get nicely crisp on the outside but remain soft on the inside. Top with grilled onions, arugula leaves, avocado and salsa. Cover a baking sheet or large platter with parchment or waxed paper. Set aside. In the bowl of a food processor, combine the flour, tomato, onion, garlic, oregano, coriander, cumin, cayenne, and half of the beans and pulse until coarsely chopped, scraping down the bowl as necessary. Transfer to a medium bowl and stir in the remaining beans and salt to taste. Divide the mixture equally into six balls, arranging them on the prepared baking sheet or platter. With dampened hands, flatten each ball into a patty about 4 inches in diameter and 1/2 inch thick. Heat 1 tablespoon of oil in each of two medium skillets over medium heat. Carefully add three patties to each skillet (it helps to use the parchment or waxed paper to flip a patty into your hand, one at a time, then carefully place it in the skillet). Cook until well browned, about 3 minutes per side. 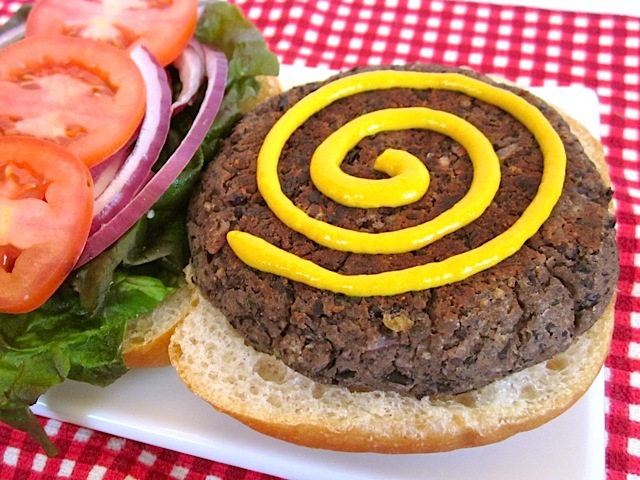 Serve the burgers with mustard, lettuce leaves, sliced onion, sliced tomato, and sliced avocado. Serve hot. Recipe by Jared Koch with Jill Silverman Hough. What’s more Australian than a jaffle? You just can’t beat a baked beans jaffle – it’s one of our favourite Australia Day weekend dinner ideas! Funny man Dave Hughes shares his fool-proof baked beans jaffle recipe. I’m busy and I know you are too. You probably don’t even think you’ve got time to read this recipe, but you do, cos it’s quick. Part of my business is I’ve got three kids who start demanding fun at the crack of dawn. Here’s the way to keep them happy (and healthy) first thing in the morning. It’s my patented SPC baked bean jaffle. The brilliance of this recipe is that idiots like me can nail it. It’s actually impossible to get it wrong if you follow my simple instructions. Step 1: Open the can by pulling the ring pin with the pointer finger of your right hand. Step 2: Use bread with a 7.6 mm thickness. Step 3: Cover every square mm of bread with the only major brand of Aussie grown and canned baked bean on the market. Step 4: Put other slice of bread on top. Step 5: Carefully place the masterpiece in progress in jaffle maker. Step 6: Close jaffle maker and turn on. Step 8: While waiting, think about how tasty and easy to prepare the only major brand of Aussie grown baked bean on the market is, then whisper ‘good on you SPC’. Step 9: When the little light turns green whip open that metal joy maker. Step 10: Whip it out, bang it on a plate. And enjoy five minutes of peace while the kids savour your genius. What’s your favourite jaffle recipe? Chef Adam Humphrey of Sydney’s Restaurant Arras and Arras Too shares an easy dinner idea using leftovers from the beautiful OzHarvest Cookbook. Australia’s most celebrated chefs including Matt Moran, Neil Perry, Maggie Beer and George Calombaris share their favourite ‘food rescue’ recipes. This is a dish my mother used to cook for my brothers and me when we were young and she needed to feed us cheaply and with minimum fuss, using left over bread and other pantry items. Variation: In between the layers of bread, place in any left over ham or mushroom or vegetables or herbs that you have. 1. Grease and ovenproof dish enough to hold approximately a litre. 2. Butter each slice of bread both sides with the butter and the mustard, and then cut in half triangularly. Lay one layer of the bread across the bottom of the dish. 3. Heat the milk and cream in a pan with the bay leaf ensuring it doesn’t boil. In a heatproof bowl, whisk the eggs until well broken down and pale in colour. Immediately add the hot milk mix and whisk until well combined, add in the grated cheese and whisk until melted. Season with salt and pepper. 4. At this stage, add in any extra items (ham, vegetables etc) in between the layers of bread. Ensure that the top layer is finished with the bread. Pour over the cheesy custard mix gradually – If you have time, “feed” the pudding over a period of a few hours with the custard. 5. Top with the extra grated cheese, mixed with the crumbs. 6. In a 180°C oven, bake the pudding for approximately 40 mins until the custard is set and the top is golden brown. 7. Once cooked, let rest for a couple of minutes before serving. Serve with left over salad. This pudding is even great the next day too. What’s your favourite leftover recipe? If you’re looking for new dinner ideas using leftover roast chicken, you’ll love this easy chicken salad recipe from the OzHarvest Cookbook. Australia’s most celebrated chefs including Matt Moran, Neil Perry, Maggie Beer and George Calombaris share their favourite ‘food rescue’ recipes. Celebrity chef Stefano Manfredi’s recipe makes a fantastic summer dinner and leftovers are delicious for lunch. 1. Toast the macadamia nuts in a dry pan over medium heat, moving them constantly with a wooden spoon until lightly coloured. Set aside to cool and then roughly chop. 2. Shred or slice the chicken meat into bite-sized pieces and place in a large bowl. Cut the roast vegetables into smaller pieces if need be and add to the bowl. Add the rocket and cooled nuts. Dress with the oil and vinegar and season with salt. Toss lightly and finish with a few grinds of cracked pepper. Add the crunchy chicken skin, if you’re using it. Serve with crusty bread. 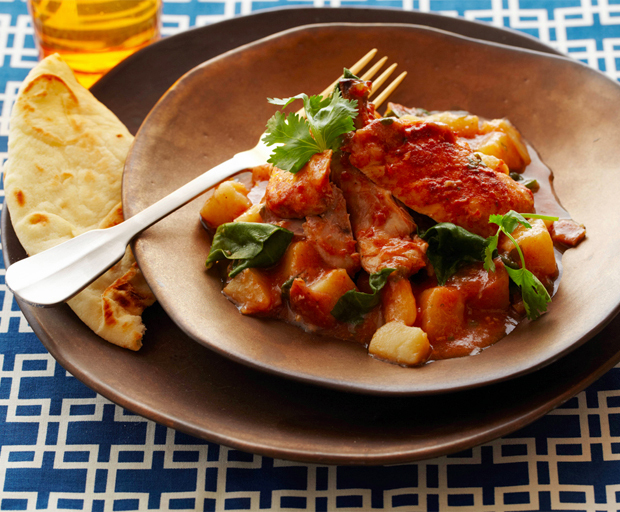 What’s your favourite recipe using leftovers?